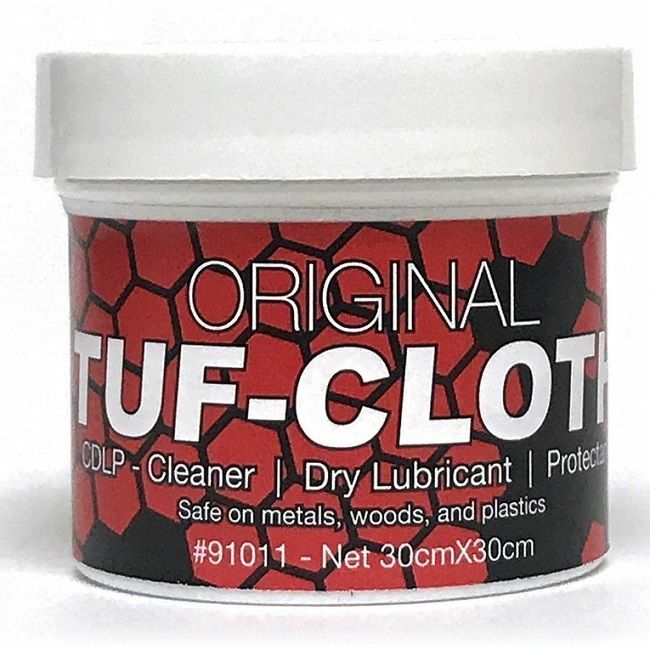 Tuf Glide and Tuf Cloth's are a brilliant way of protecting and cleaning all your favourite kit for years of trouble free use. 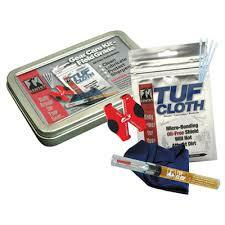 This is a great comprehensive kit packed in its own tin so you know you have all what you need in one place. 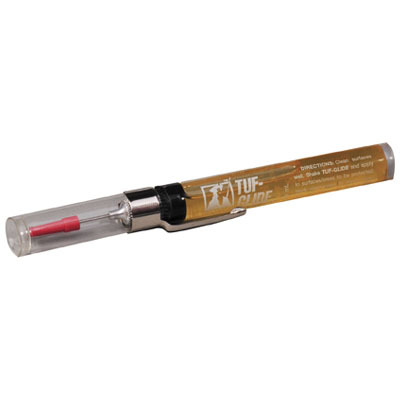 OIL-FREE Performance for Knives, Tactical and Outdoor Adventure Gear. 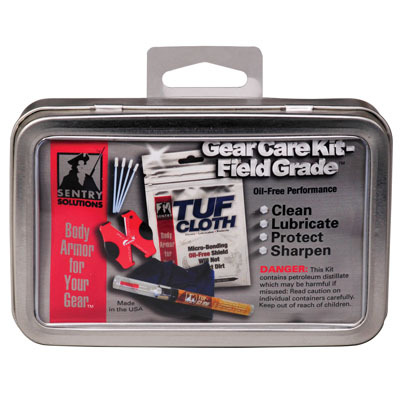 Great for field care of guns, knives and tactical gear. All in a compact, crush-proof, hinged metal window tin. Easy to pack for the range, trail or the field. 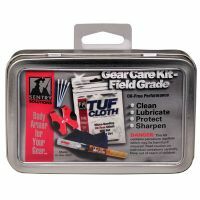 Gear Care Kit™ contains TUF-CLOTH™, TUF-GLIDE™, lint-free cleaning tools plus GATCO® Super Micro Ceramic Sharpener. 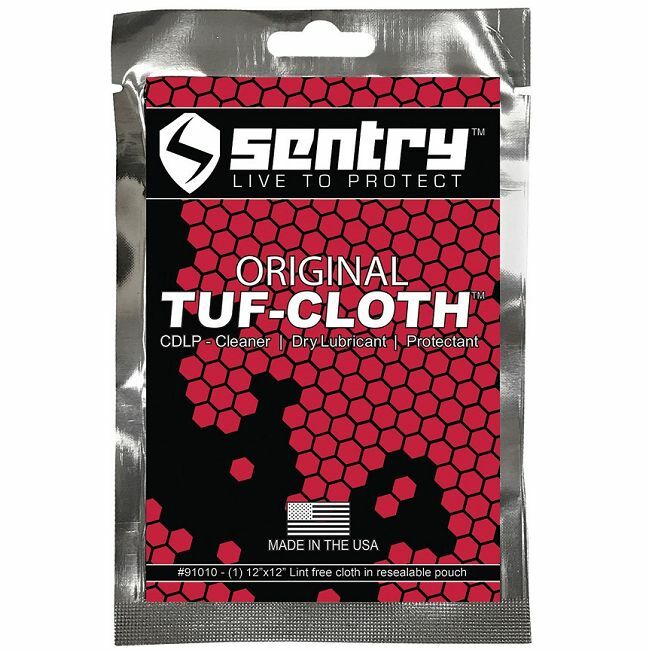 TUF-CLOTH™30cm x 30cm 12" x 12"
Revolutionary upgrade from oil and silicone rags; delivers lubrication and protection for today's firearms, knives, tactical gear and collectibles. 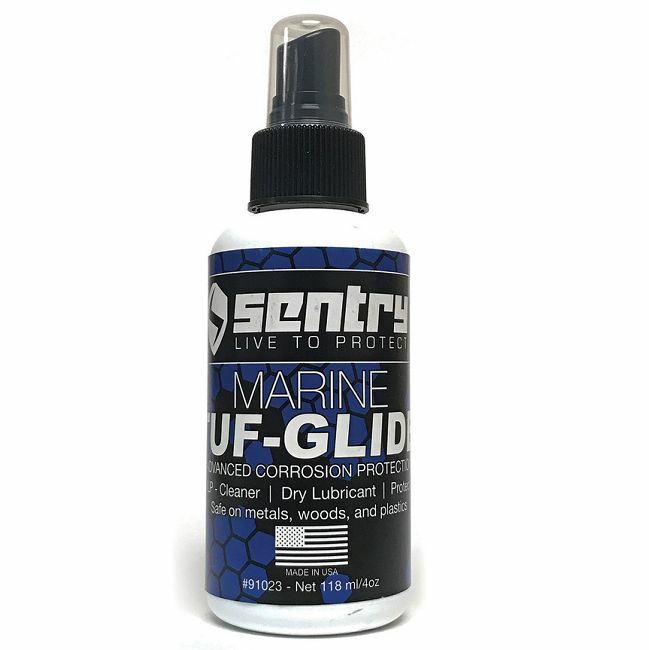 Quick clean on your gun bench, the range or in the field. 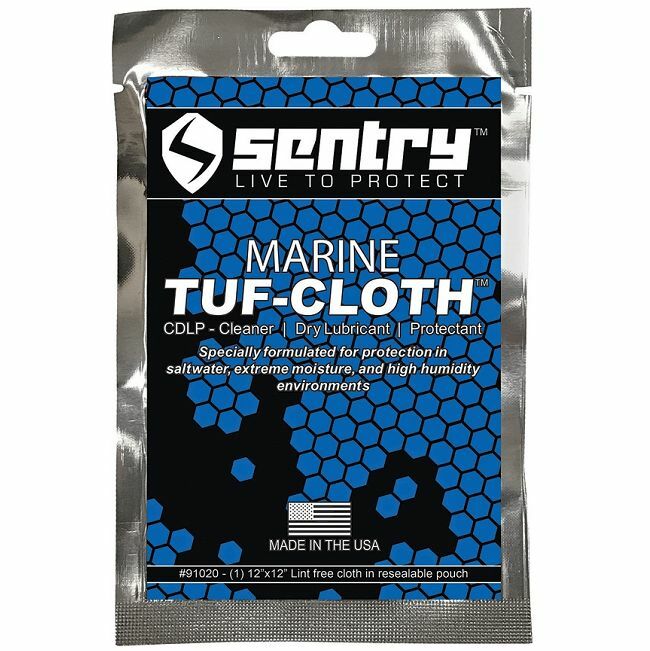 Spill-proof pack; long-lasting, lint-free impregnated cloth. 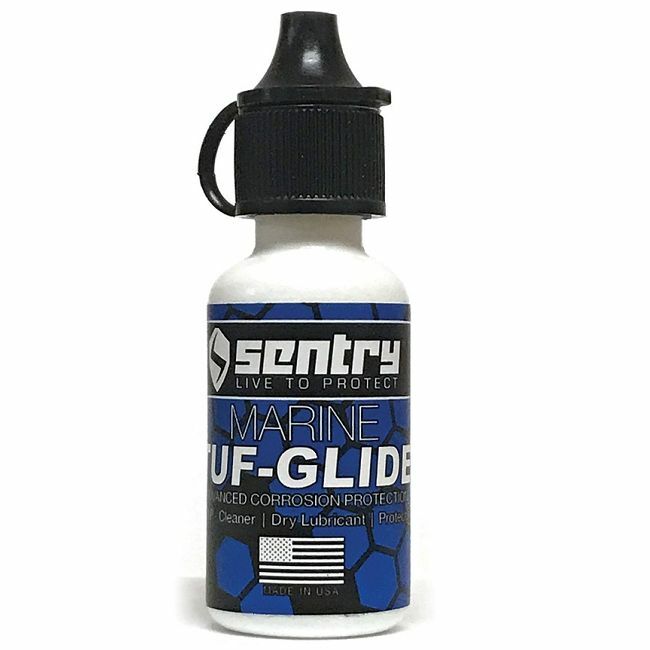 Oil-free technology to lubricate and protect hard to reach areas of all your knives, firearms and gear. 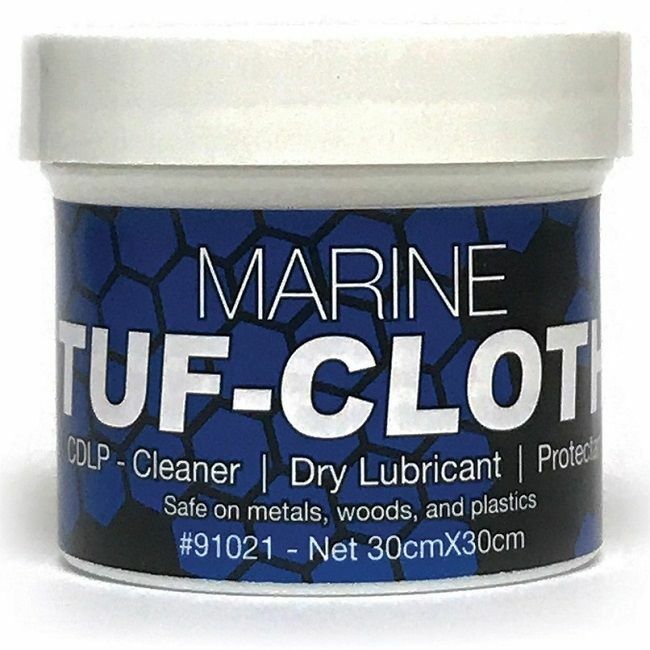 Use with TUF-CLOTH, for 100% oil-free protection.